Sestriere, a renowned mountain locality in Piemonte, is the highest municipality of Italy situated between Val Chisone and Valle di Susa, in the heart of the Via Lattea ski area (one of the biggest ski areas of Europe). 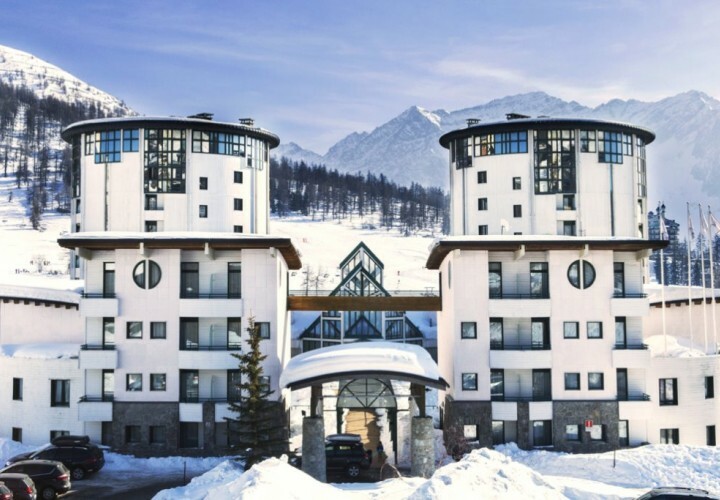 Sestriere was built in 1934, when the famous italian enterpreneur Giovanni Agnelli commissioned three funicular railways and two hotels (known as "the towers") that eventually became the symbol of the town. Sestriere is the perfect destination for sports lovers and skiers. It has numerous ski slopes (also equipped for night skiing), the highest golf court of Europe (with 18 holes) and, during the summer, it is extremely populated by cyclists. Sestriere is among the most renowned skiing locations of Europe with its 17 ski lifts and 42 ski slopes, among which there is the "Kandahar", a black ski slope that hosted the Slalom of the Alpine Skiing World Cup, the 2006 Winter Olympics and two competitions of the 1997 World Cup.